Andrew Holdsworth BSc, BVSc (Hons), DipECVDI, MRCVS. 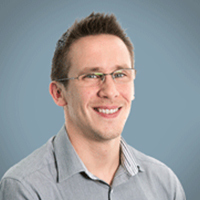 Andy graduated from the University of Bristol in 2009 and subsequently spent 18 months working in a busy first opinion practice in Nottingham. Following that, he relocated to Bournemouth to undertake a rotating internship at SCVS in 2011. Andy returned to the University of Bristol in 2012 to complete a residency programme in Veterinary Diagnostic Imaging, and became a Diplomate of the European College of Veterinary Diagnostic Imaging in September 2015. Andy began working at SCVS again in April 2016.